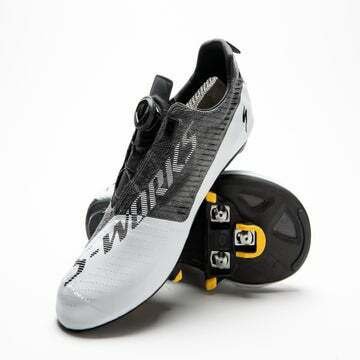 The Specialized S-Works Recon shoe aims to balance performance and comfort. It's an improvement over prior models but is still quite stripped-down. Cross-country mountain bike shoes are all about balance. The Wednesday night race demands a stiff sole for power transfer. The epic ride on Sunday requires long-haul comfort. And with the inevitable hike-a-bikes, rocks, and crashes, the shoes have to be durable. Specialized took aim at that holy grail of comfort and performance with the S-Works Recon. Unfortunately, it didn’t quite suit our feet, but the Recon will certainly appeal to racers who want a stripped-down, high-performance shoe. The improvements Specialized made to its S-Works shoe shouldn’t come as a big surprise. The Dyneema upper construction matches that which was implemented on the S-Works 7 road shoe last winter. Similarly, it has the proprietary alloy Boa S3 dials and Padlock heel construction. All of these changes add up to make the Recon more comfortable than its predecessor, the S-Works 6. However, for our testers’ feet, the Recon still falls short in terms of overall comfort. 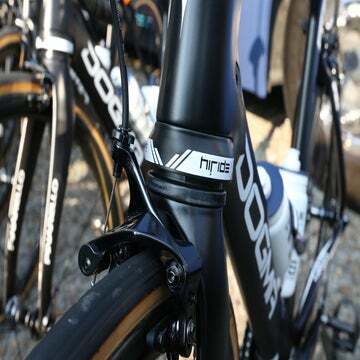 The heel-cup upgrade definitely addressed some issues we had with the stripped-down S-Works 6. The material that circles the ankle bones remains a bit too stiff, though. It seems like it could use additional padding. This was particularly noticeable on bumpy trails when we dropped our ankles and used our legs to absorb some of the chatter. As our ankles flexed, we noticed that the upper material was a bit unforgiving. If you have small ankle bones and a narrow heel, this fit issue might not be problematic. On the bright side, the upper’s thick, firm tongue helps distribute the pressure from the two Boa dials. The S3’s alloy material certainly has a high-end feel that is bound to be more durable than plastic. But like we pointed out in the S-Works 7 road shoe review, we miss the full-release option afforded by Boa’s IP1 dial. Specialized also did a nice job of widening the toe box — again, as it did with the S-Works 7 — to accommodate more foot shapes. It also integrated a more durable toe cap into the upper to protect against rocks and other trail shrapnel. This is all affixed to a tremendously stiff FACT carbon fiber sole, which should be good enough for even the fastest World Cup cross-country racers, let alone amateurs like ourselves. The treads are modest, but sufficient for most off-bike excursions, cyclocross, or cafe stops. One small detail that we appreciated: The cleat tracks go farther back on the sole than they used to, offering more range of adjustment if you prefer your pedal spindle to be more behind the ball of your foot. As a pure XC racing shoe, the S-Works Recon is Specialized’s best offering to date. 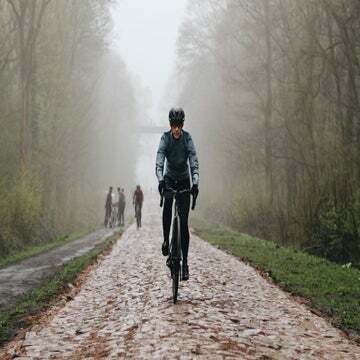 Depending on your fit preferences and foot shape, it could be perfect for all manner of dirt rides, from 100+ mile gravel races to weekly short tracks to long days of singletrack shredding. Our testers, on the other hand, would like to see Specialized continue integrating more comfort features in order to strike the right balance in its off-road footwear. The S-Works Recon is on the right track, but that trail hasn’t quite reached the end.